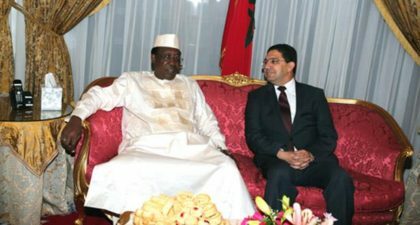 The President of Chad, Idriss Deby Itno, on Saturday received a message from King Mohammed VI dealing with the promotion of bilateral relations. The message also dealt with the revitalization of the Community of Sahel-Saharan States (CEN-SAD) as Chad was hosting and extraordinary session of the conference of heads of state and government of this community. The royal message was handed over to President Idriss Deby by Foreign Minister Nasser Bourita. In a message addressed to the extraordinary summit of the CEN-SAD King Mohammed VI has called on the member countries of the Community to enhance further their economic complementarities, inclusive co-development and joint actions against security challenges to speed up regional and continental integration. The King urged this regional bloc to foster the efficiency of its executive bodies, set up strategies dedicated to human development and to the fight against terrorism and to adopt a common border policy.